Our hair and skin owe their natural color to the melanin-producing cells in the skin called melanocytes. But these cells can malfunction or die, leading to white patches on the skin that are medically called vitiligo. The late Michael Jackson was said to have vitiligo, which caused white patches and loss of pigment in his black skin. Vitiligo is a chronic condition that can affect any part of the body, but it commonly affects the skin that is more frequently exposed to sunlight. It can also affect your hair and the mucous membranes inside your mouth and eyes. While the condition can affect people of all skin types, it is more prevalent in those with a darker skin tone. 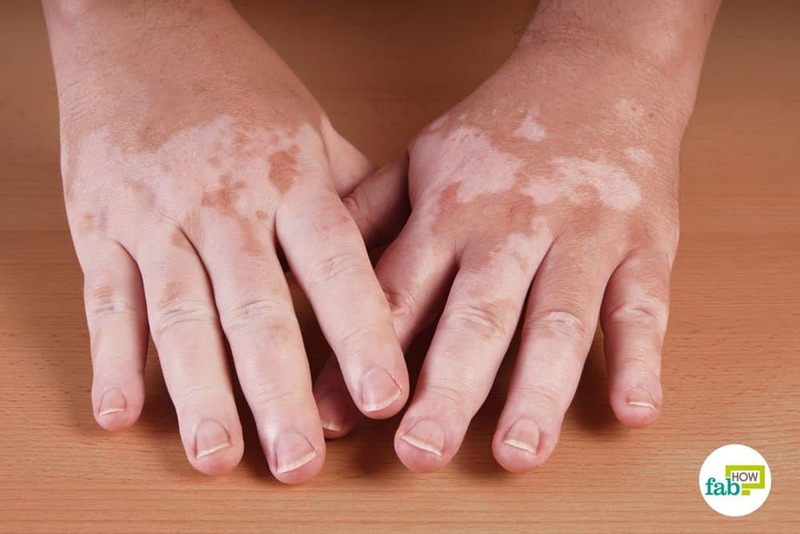 Vitiligo is neither life-threatening nor contagious, but it can severely damage a person’s self-esteem and even lead to depression and anxiety. Autoimmune disorders – a condition in which the body starts attacking its own cells, in this case killing the melanocytes. Skin damage due to overexposure to the sun. 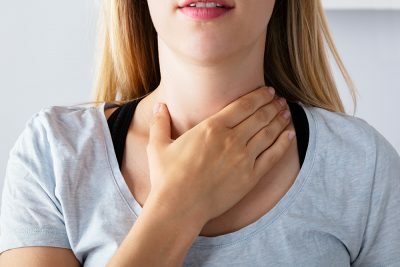 Heredity – family history of endocrine or connective tissue diseases. White patches on the face, hands or feet. Discoloration or white patches in the armpits or genital area. White patches inside the mouth or nose. Loss of normal pigmentation in the hair. Some people also experience redness and burning in the discolored skin. While there is very little you can do to prevent the onset of this condition, you can certainly prevent exposure to triggers like excessive sunlight and chemicals. You can also take measures to reduce your stress level, if that is causing the vitiligo symptoms. While it is a lifelong condition and there is no cure to get rid of vitiligo completely, you can try some home remedies to slow down your skin discoloration and stop the vitiligo from getting worse. Also, if the home remedies don’t help, you can check with a dermatologist for alternative treatments like corticosteroid creams, ultraviolet (UV) light therapy, skin grafting and other options. Coconut oil can help immensely in promoting repigmentation of vitiligo-affected skin. The oil is blessed with healthy fatty acids that nourish and soothe inflamed skin and will also take away itching and redness (if any) from the white patches. Coconut oil also has antifungal and antibacterial properties that will further protect the skin from infection. 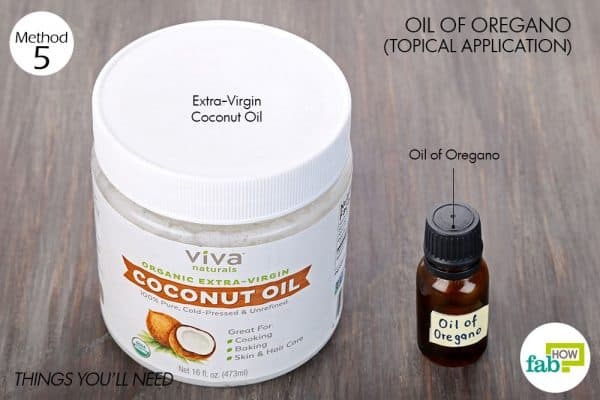 Note: Use extra-virgin coconut oil only for this remedy. The processed varieties may worsen the appearance of the patches. Simply rub extra-virgin coconut oil on the discolored skin 2 or 3 times every day. Additionally, consume 4 to 6 tablespoons of coconut oil with your food to speed up the recovery. You will have to be patient and persistent in order for the oil to work. You should see positive results after 1 month of regular use. Continue using it until the white patches fill in and your skin’s condition improves. A number of studies have directly linked vitiligo to vitamin B12 deficiency. 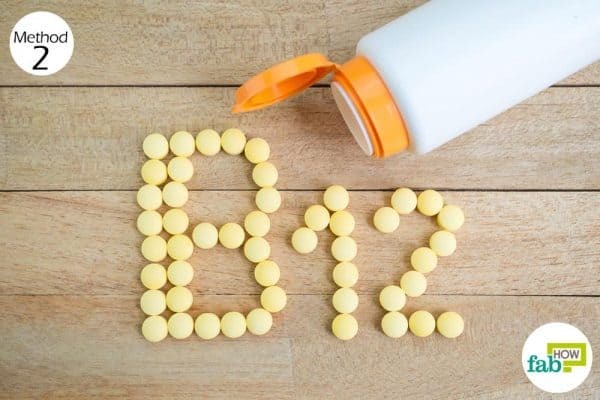 The lack of vitamin B12 increases the oxidative stress on the skin, leading to the destruction of melanin cells and thus causing loss of pigmentation. Increasing your intake of vitamin B12, along with folic acid, through oral supplements can stimulate repigmentation of the white patches. 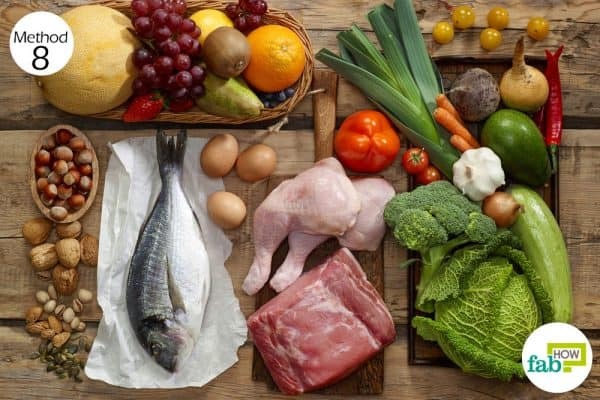 Eating more foods with vitamin B12 like liver, milk, cheese, eggs and meat can also help correct the deficiency in your body. A 1997 study published in Acta Dermato-Venereologica found that folic acid and vitamin B12 supplementation combined with sun exposure can induce repigmentation of vitiligo patches better than either the vitamins or sun exposure alone. Take 1,000 mcg of vitamin B12 daily, along with 5 mg of folic acid twice daily. Exposing the affected skin to the sun will further boost repigmentation. Continue taking the supplements for at least 2 to 3 months to get rid of vitiligo patches. Always consult your doctor before taking any kind of supplement. Aloe vera is truly a nature’s blessing with all its healing properties. The enzymes present in the clear gel of the aloe vera plant help with skin cell regeneration, which can be of great use to get rid of vitiligo. Aloe vera is also rich in vitamins A, C, E, B12 and folic acid that work as antioxidants to prevent free-radical damage and also counter inflammation. Vitamin B12 and folic acid are also particularly beneficial for restoring color to vitiligo patches. 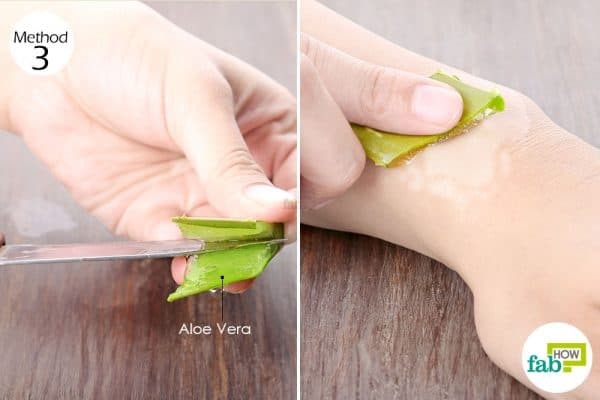 Cut a slit in a small piece of an aloe vera leaf to expose the inner gel. Leave it on for a few hours, then rinse it off with water. Apply the gel 2 or 3 times daily for at least 2 to 3 months to see visible improvement. 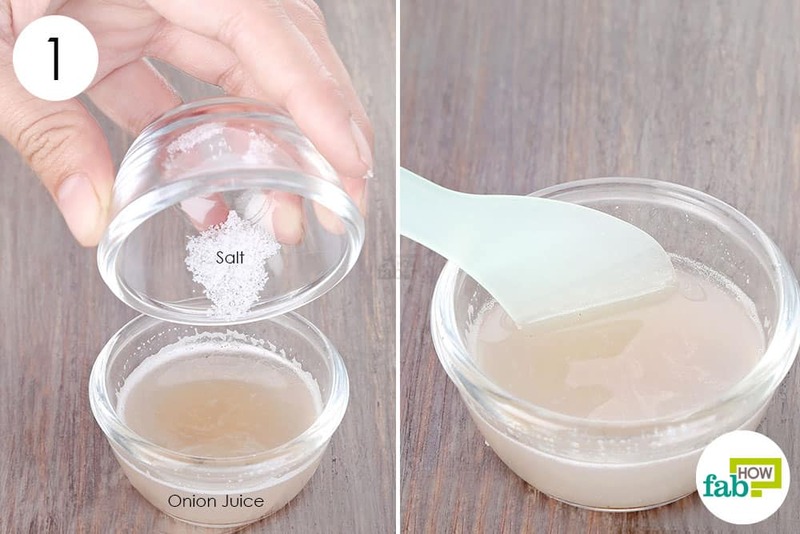 For ease of use, you can also extract the aloe vera gel and store it in a container. A number of healing herbs have been a part of ancient medicine for treating even the most chronic diseases. In the case of vitiligo, the success rate of two herbs is quite high for controlling and managing the condition. Ginkgo biloba is a popular therapeutic herb used in Chinese medicine. It is loaded with flavonoids that work as antioxidants to stall oxidative damage at the cellular level. This very property helps get rid of vitiligo symptoms as well. A 2011 clinical trial published in BMC Complementary and Alternative Medicine confirms that vitiligo patients who took ginkgo biloba supplements showed improvement in their condition. 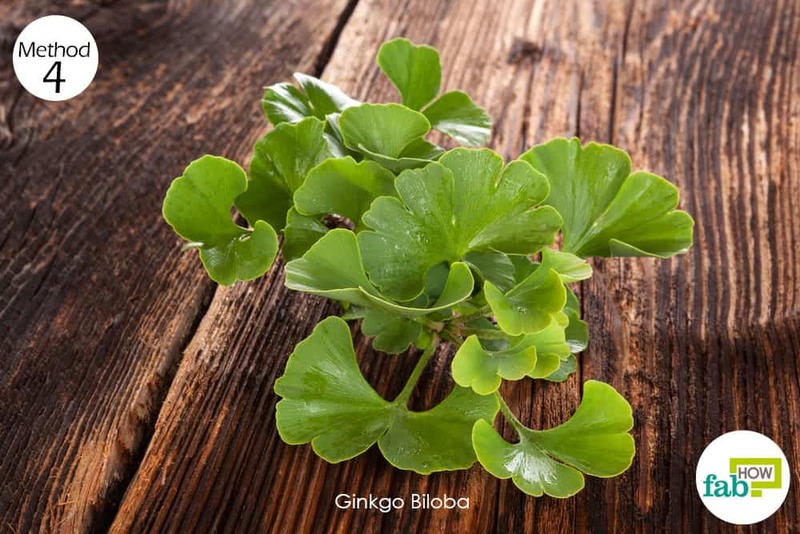 The usual dosage of gingko biloba supplements ranges from 40 to 80 mg twice daily. However, consult your physician for the appropriate dosage, as higher quantities can lead to stomach troubles. Continue taking the supplement for 3 to 4 months to get positive results. 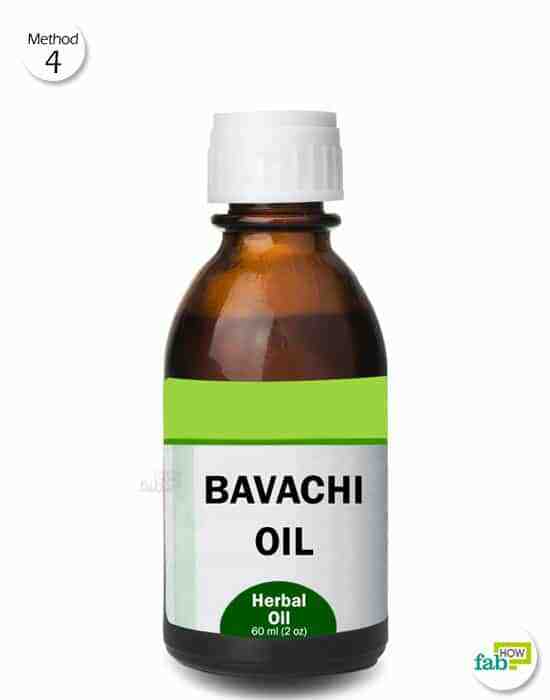 Bavachi oil, also known as bakuchi or babchi, is another popular herbal oil used in Ayurvedic medicine. 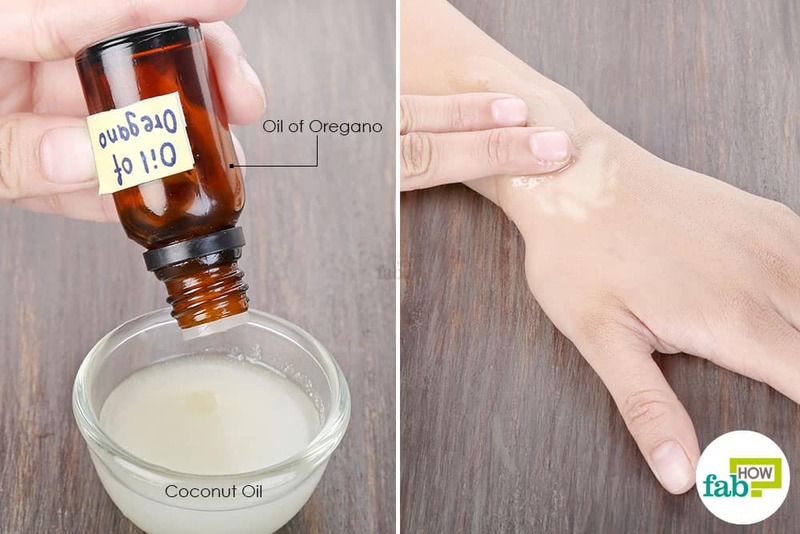 The oil contains a compound called psoralen that is commonly used along with ultraviolet radiation therapy (PUVA) for the treatment of psoriasis, eczema and vitiligo. The bavachi oil can also be used topically for managing vitiligo. Rub the bavachi oil on the depigmented skin. Expose the area to sunlight for 15 minutes. You can either leave the oil on or wipe off any excess with a paper towel. Repeat once daily for 3 to 4 months to reduce the appearance of white patches. Oil of oregano can be used topically as well as orally to stop the progression of vitiligo. The oil is known for its antibacterial and antifungal properties and can help reduce the appearance of white patches on the skin. Note: Buy food-grade oil of oregano only, which you can use both internally and externally. Mix 4 or 5 drops of oil of oregano into 1 tablespoon of extra-virgin coconut oil. Apply it on the white skin patches. It may sting a little but should be tolerable. Massage the area in circular motions until the oil is absorbed into the skin. You need not wash it off. Repeat 4 or 5 times daily for at least 3 to 4 months to normalize the skin tone and also prevent more patches from developing. 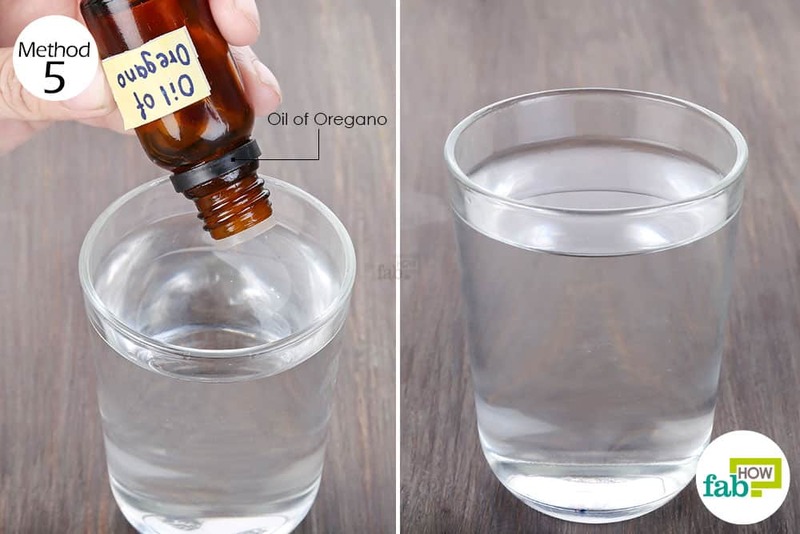 Mix 2 or 3 drops of food-grade oil of oregano into 1 cup of water. Consume the water twice daily, along with topical application, for repigmentation of the white patches in 3 to 4 months. Onions are rich in vitamins A, C and E and flavonoids that protect the skin from free-radical damage. Onions are also antibacterial and anti-inflammatory agents that fight pathogens to prevent the appearance of white patches in vitiligo patients. Adding a pinch of salt to onion juice will boost its antiseptic power. 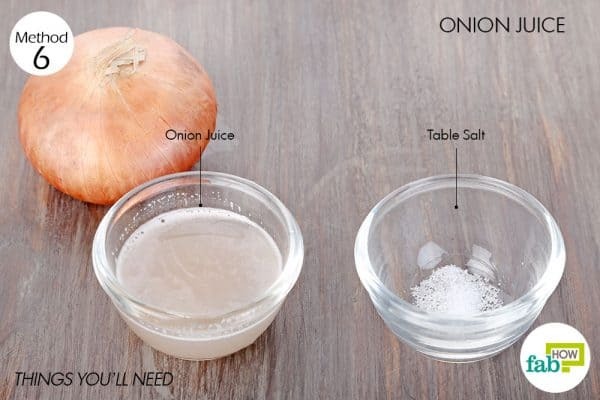 Add ⅛ teaspoon of table salt to 1 tablespoon of onion juice. 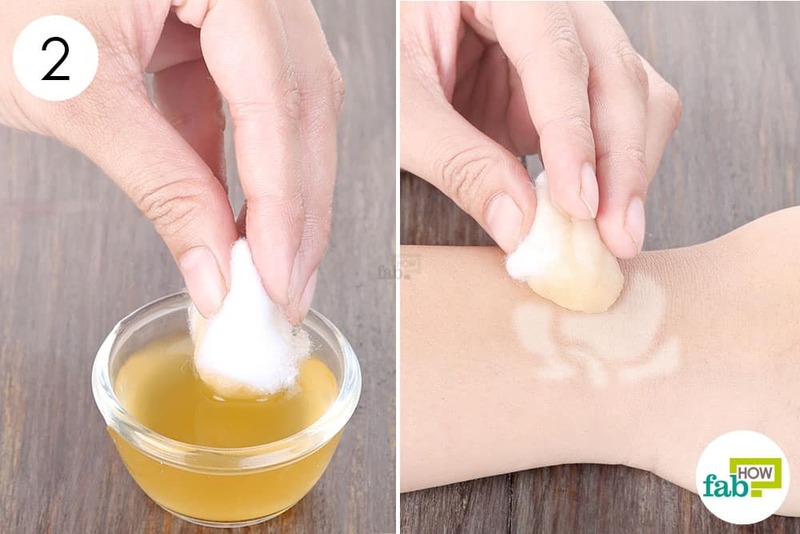 Soak a cotton ball in the solution and dab it on the white patches in your skin. Leave the juice on overnight. Apply it every day until you get noticeable results. Apple cider vinegar can also be of help for vitiligo that is caused by a fungal infection. The antimicrobial enzymes in it kill the pathogens and reduce the appearance of discolored skin. 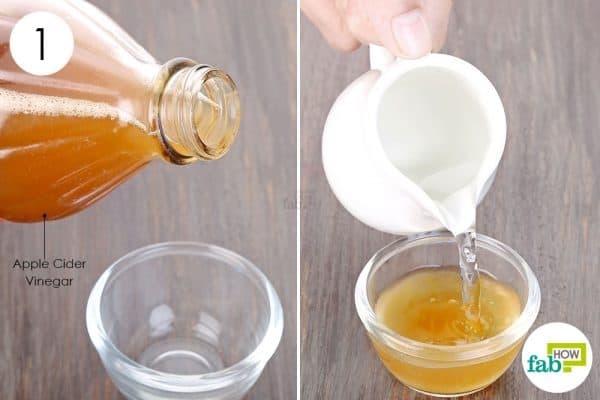 Apple cider vinegar can also be used in multiple ways to get gorgeous skin and hair. Pour ½ tablespoon of apple cider vinegar into a bowl. Dilute it with an equal quantity of water. Soak a cotton ball in the diluted apple cider vinegar. Dab the soaked cotton on the depigmented skin. Allow the solution to air-dry. Rinse the area with water after 4 to 5 hours. Repeat twice daily until your skin regains its color. Altering your diet can also help you get rid of vitiligo patches. Here is a list of foods you should and shouldn’t eat when dealing with vitiligo. Include dark-colored vegetables in your diet. Dark and pigmented veggies like beetroots, carrots and spinach will help. Increase your protein intake by eating more chicken, eggs, liver and other sources of protein. If you are vegan, you can opt for soybeans, sunflower sprouts and bananas. Eat foods rich in omega-3 fatty acids, such as avocados, salmon and walnuts. It will help boost your body’s resistance and reduce inflammation. Drink more water to naturally flush toxins out of your body. Avoid acidic foods, such as lemons, as they can alter the acids in your stomach and hamper the absorption of nutrients. This can sometimes lead to vitiligo. Avoids nightshade vegetables, such as tomatoes, potatoes and white eggplants, as they can worsen vitiligo symptoms. Avoid or reduce the amount of unhealthy and processed foods and snacks that you eat. Avoid alcohol and tobacco, and also curb your intake of carbonated drinks. Red clay, also known as Moroccan red clay, is touted as an effective remedy for vitiligo. It contains high levels of copper that can help restore the skin’s color. Mixing it with ginger juice, a melanin booster, can help get rid of vitiligo patches. Note: When preparing a red clay pack, mix the contents in a non-metallic bowl. If you use a metal bowl, the negatively charged ions in the clay will get neutralized by the positive ions of the metal bowl and render the clay useless. 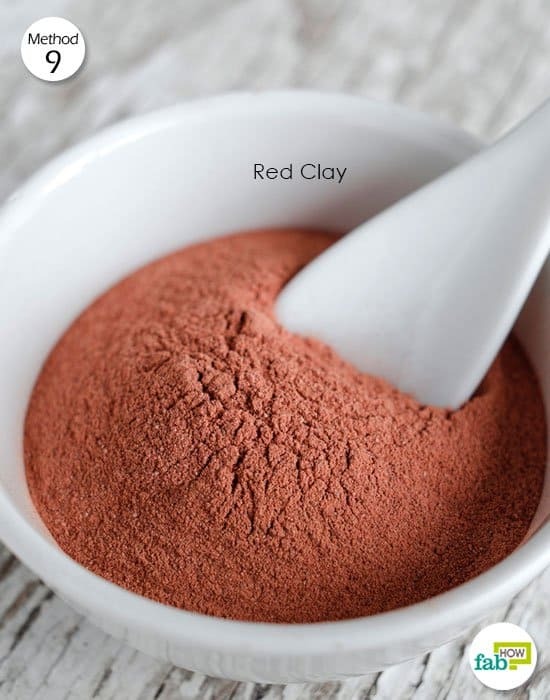 Put 2 tablespoons of red clay powder and 1 tablespoon of ginger juice in a non-metallic bowl. Apply the paste on the white patches. Apply a thick moisturizer or coconut oil afterward. Repeat every day until the white patches diminish. 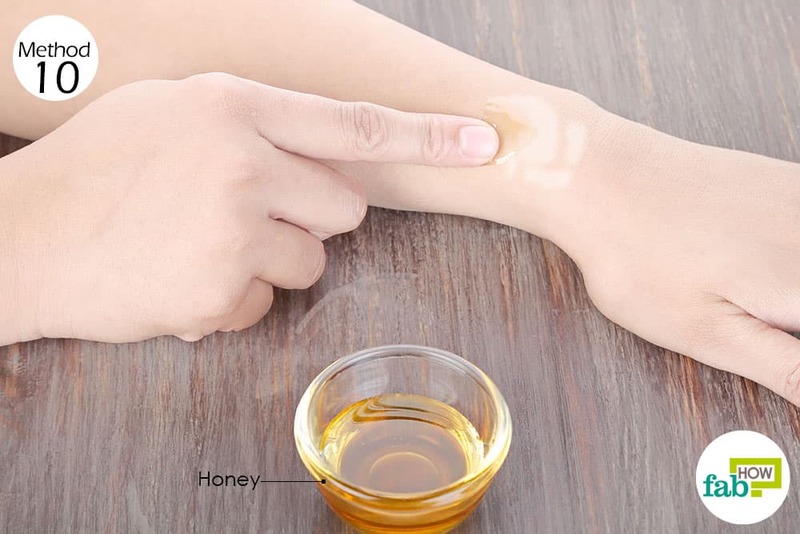 Raw honey is a powerful antibacterial and antifungal liquid that can help kill the pathogens in vitiligo patients and prevent the white patches from spreading. Use unprocessed, raw honey only, as it retains the maximum amount of enzymes. Smear a thick layer of raw honey on the white patches. Let the honey absorb into the skin for 15 to 20 minutes, then rinse it off with lukewarm water. Repeat once daily until the patches are gone. You can also apply vitamin E oil once daily on the skin to get rid of vitiligo patches. Leave it on for 30 minutes, then rinse it off with lukewarm water. Since copper helps boost melanin production, each night you can fill up a copper vessel with water and leave it overnight. Drink the water every morning. Drinking papaya juice or rubbing it directly on the patches can also boost melanin production on your skin. Dry flaky scalp is very common in winters. This raises a lot of problems like hair fall, whitening of hair color etc. There are several home made remedies to prevent dry flaky scalp. 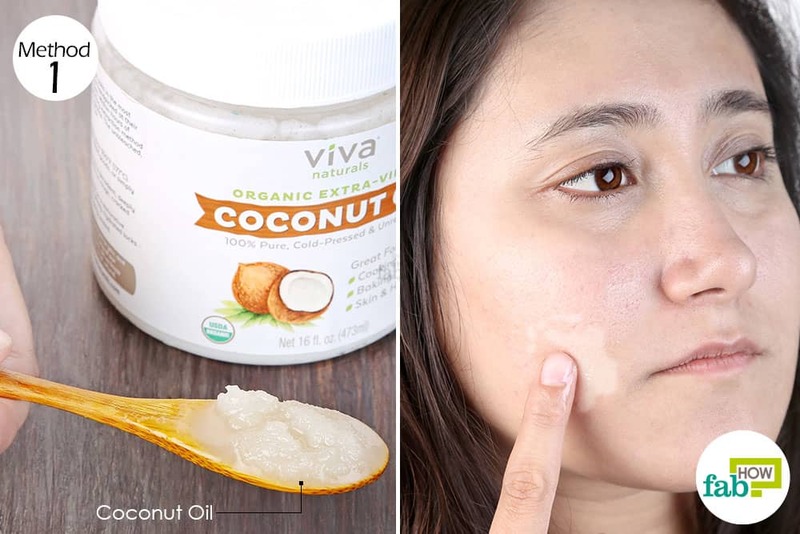 One can use coconut oil for the best result.Thank you for sharing the worthy article.